Even on a wet day on Islay it is possible to enjoy the beach. This dog (and its owners) were playing at the southern end of Machir Bay. While the owners were building dams to redirect the burn the dog was mainly running around, jumping the burn and occasionally doing some digging. 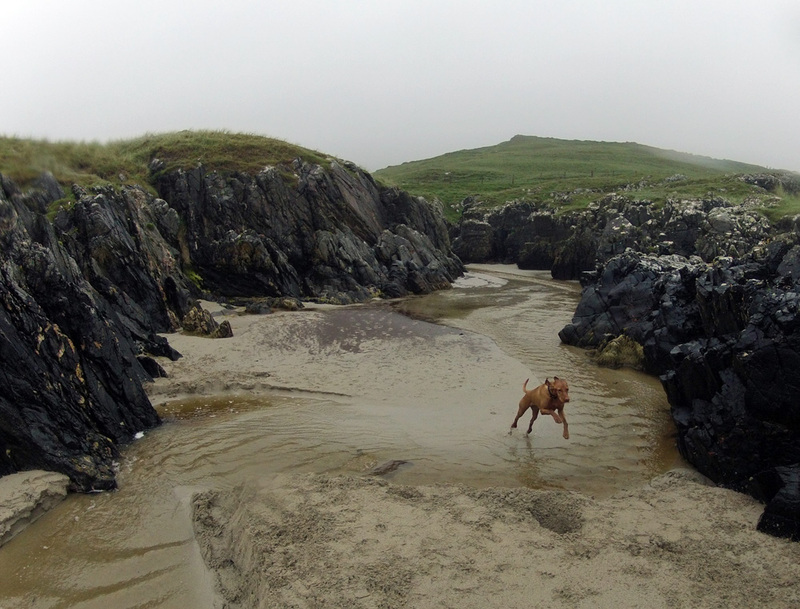 This entry was posted in Beaches, Cloudy Weather, Landscape, Repost and tagged dog, Islay, Kilchoman, Machir Bay by Armin Grewe. Bookmark the permalink.